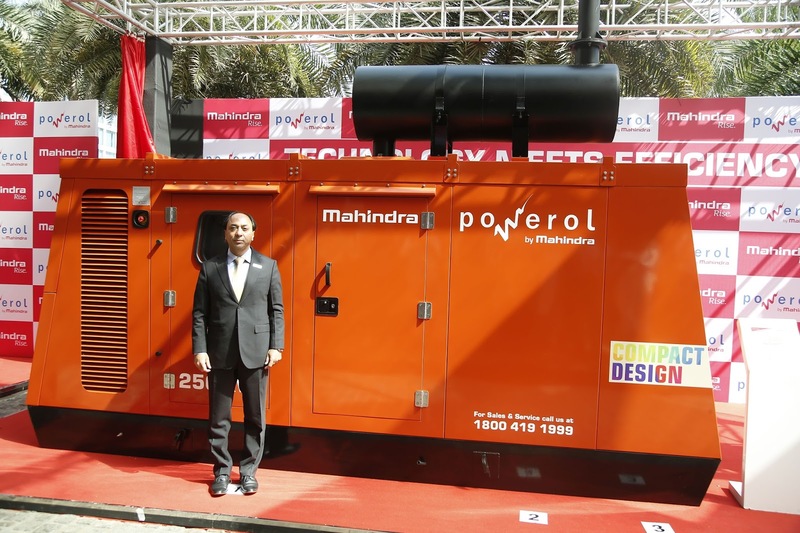 MUMBAI/ PUNE: Mahindra Powerol, a business unit of the USD19 billion Mahindra Group, announced its entry into the higher kVA diesel generators (DG) segment with the launch of its all new range of 250/320 kVA DGs, which are powered by the Mahindra mPower series of engines. These generators are equipped with CRD engine for lesser emission. Designed at Mahindra Research Valley, its R&D hub in Chennai and manufactured at its Chakan plant near Pune, this new 9.3 litre engine range is the latest addition to Mahindra Powerol’s mPOWER series and comes equipped with the technologically advanced CRD engine. The CRD engines are powered with superior and advanced Common Rail Diesel Engine (CRDe) technology. This technology is future ready and best known for heavy duty performance and fuel efficiency. It significantly reduces pollution by going beyond the standard emission norms. The same advanced technology is now being used for the newly launched 250kVA and 320kVA DG Sets. Sikka further added that this future ready CRDe technology is set to deliver lesser emissions and higher performance at a lower operating cost, thereby raising the bar in customer centricity. 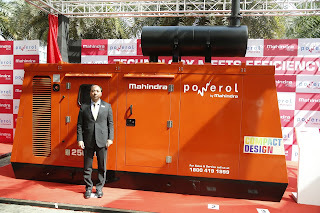 We will continue to innovate and thus offer the best-in-class products and services from the Mahindra Powerol stable.The high block loading capacity of the Mahindra Powerol DG Sets enhances the DG performance against a high instantaneous load which is useful for heavy duty applications. The new range of DG Sets is equipped with Mahindra’s unique DiGi-SENSE technology which makes it a Smart DG. The performance of Smart DG sets can be monitored real-time remotely from anywhere, thereby improving the up time of the DG Sets. Primarily a service driven industry, the purchase decision of DG sets depends on service network and after-sales service commitment. Mahindra Powerol DG sets are supported by one of the widest service network of more than 200 dealers with over 400 touch points nationally.